Improving lives and fostering sustainable development through a commitment to delivering top-notch and world-class quality service. Dimension All’s thrust has always been excellent service. Since 1976, the pioneering company in formworks and scaffoldings in the Philippines has exceeded expectations in delivering world-class services to its clients in the following sectors: oil and gas; energy, onshore and offshore structures; global recruitment, contracting and manpower services; healthcare, shipping, technical design, education, learning, and development. Dimension All’s offerings help clients bring their ideas to life, and with the company’s strategic partners in the industry, its people’s competencies and expertise are being constantly developed. The year 2012 saw the company’s acquisition of Supersonic Manpower Services Corporation. In 2013, Dimension All Manpower Incorporated (DAMI) became a registered entity in the Philippines. In 2015, Dimension All acquired Vetyard, an esteemed and prestigious manning agency. Today, the diversified business lines of the Dimension All Group allow its clients to keep abreast with a highly globalized and fast-paced world through fostering long-lasting partnerships. To build long-term relationships with our clients and provide exceptional services by pursuing business through value creation. Equipping Filipino workers for overseas employment in innovative fields and in key areas for global growth is at the center of what Dimension All Manpower does. A land-based agency accredited by the Philippine Overseas Employment Authority (POEA) to recruit, process, and equip Filipino workers for overseas employment, Dimension All Manpower, Inc., (DAMI) is the human resources division of the group. With over three decades of experience, Vetyard has made a name in sea-based offshore labor supply and has cemented its reputation and track record as a key player in the offshore oil and gas manpower supply market and other specialized offshore environments. The latest addition to the Dimension All Group of Companies, Dimension All HVE Inc. provides high value engineering services to the oil and gas, energy and petrochemical markets worldwide. From our base in Manila we consistently add value and contribute to the sustainability of the industry. The never-ending pursuit for learning is what drives innovation and success, and Dimension All Education is committed to developing essential training programs to support a culture of continuous learning. It aims to develop curricula for current and future DAMI deployments. Our services have helped lay down the foundations of integral structures in many key cities and countries. 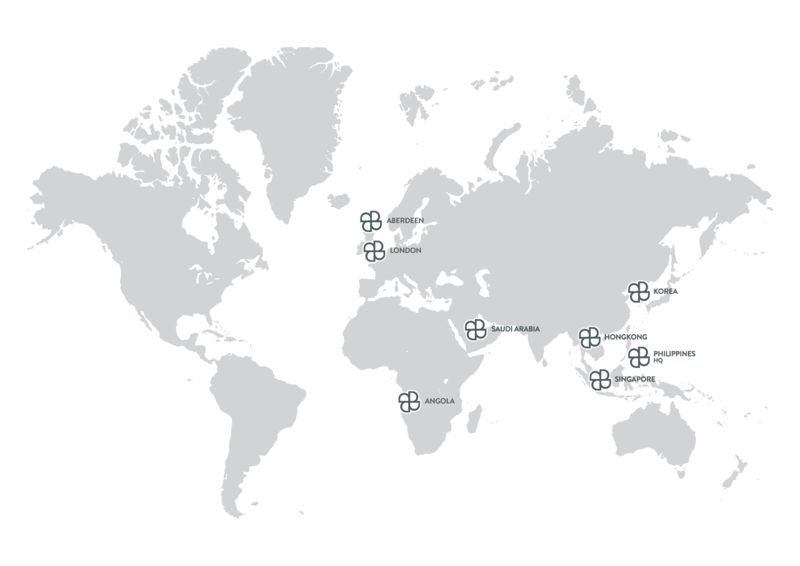 We now have a presence in global markets, with projects in North America, Africa, Europe, the Middle East, and the Asia-Pacific region. We are still expanding, and with our growth, we carry the banner of the Filipino ingenuity, pride, and innovative spirit, making us a world-class company that brings local talents to the rest of the globe.